Japanese mascaras are hot property and DJV Fiberwig is the top selling mascara brand in Japan, Fiberwig LX builds on the popularity of the original Fiberwig formula with a new-fangled brush that promises to coat each lash with greater ease, allowing more of those lash-extending fibres to reach their intended target. I already have fairly long lashes but lengthening is still high on the list of what I want mascara to do. There are two things in life that can never be long enough… lashes, and um holidays? (stop smirking). Packaged in a glossy, red tube, d.j.v. 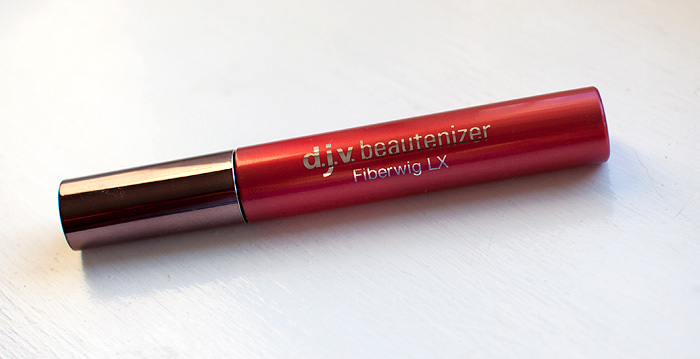 beautenizer Fiberwig LX combines a lash-building fibre formula that unlike previous fibre-rich mascaras I’ve tried, doesn’t irritate my eyes or drop little fibres onto my cheeks as the day progresses. It has a filmy, slightly oily texture that glides onto the lashes and the curved brush makes applying the product to my lower lashes a breeze. I found the finished effect to be more lengthening than volumising. I have naturally curly lashes, so I’m unable to comment on how well it holds a curl but I can feel that this is a lightweight formula, so I’d imagine that it would do well for those who need to curl their lashes in advance. 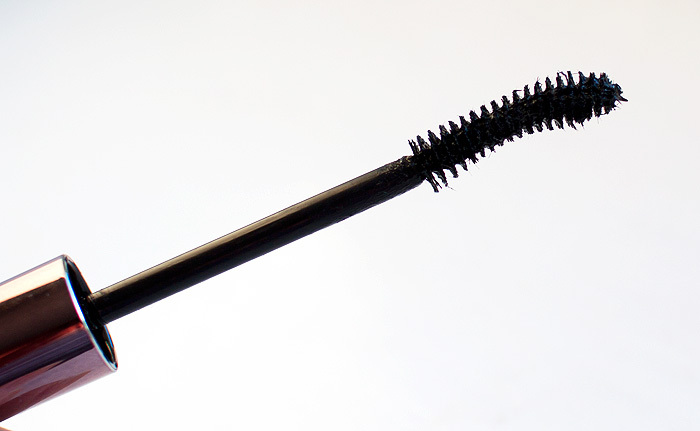 The most impressive thing about the Fiberwig LX mascara is its resilience. There was no flaking, no smudging and my lashes looked as mascara’ed up by the end of the day as they had at the beginning. Removal was an issue… I did have to work a little harder than normal to dissolve the mascara with my cleansing oil. The product removes in little clumps which can feel a bit disconcerting! Right, I’m trying that tonight – then go in with the cleansing oil for the rest of my face after right? Its done a good job on your lashes. This mascara is aimed at East Asian women who have really thin, droopy lashes. You may not need this type of product, because you already have long, thick lashes compared to most Japanese/Chinese/Korean et al women. Hmmm, I might have to try something like this! I’ve given up on volume as my lashes are so sparse but this looks pretty bloody good for length!